At Hammertown Construction, from conception and design to project completion, our experienced barn construction professionals will guide you every step of the way. We understand that caring for horses takes a lot of time and effort, which is why having a horse barn with adequate facilities and a proper layout is extremely important for daily operations. If you’re in need of a new horse barn or renovating a current stable, Hammertown Construction has you, and your horses, covered. A quality horse barn is the best investment you could possibly make as a horse farmer, because horse farming is much more than owning, riding, and caring for horses; it is a way of life. Our expert craftsmen proudly build top-quality horse barns and carry on traditions that span centuries. We work with each and every client to design and build horse barns that meet both the farmer’s needs and the needs of their horses. Whether you need a center-aisle barn, shed row barn, or a pole barn, you can have a customized barn with virtually any layout and number of stalls you desire. From quarter horses and thoroughbreds to Arabians and large draft horses, care for them in ultimate style and comfort with one of our quality horse barns today. 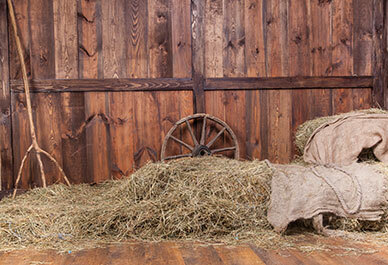 Do you have an exsisting barn that has stood the test of time, but may need a few modern alterations? The barns of yesteryear are a vital cornerstone of our nation’s history and cultural tradition and Hammertown Construction wants to bring them back to thier original glory. We specialize in historic barn restoration. If you have a historic barn in need of restoration, repair, or renovation, our restoration specialists are happy to help. From our headquarters in Narvon, PA, we proudly serve property owners throughout Pennsylvania, New Jersey, and Maryland to rebuild historic barns back to their original glory. Following the U.S. Secretary of the Interior's strict preservation protocols, we preserve and restore the original characteristics of each historical structure we work on while upgrading the electrical, plumbing, and other systems as well to bring 21st century function to 19th century form. If you’re hoping to work with a dedicated team of barn building experts who will strive to not only meet but exceed your needs and expectations, look no further. Backed by the latest technology and a company that never settles for anything but excellence, you will be able to successfully preserve or enhance your property’s strength, aesthetic appeal, and overall legacy. We have helped dozens of residential and commercial clients with everything from constructing new horse barns and riding arenas to specialty buildings and historic barn renovations. Contact us today to discuss how we can turn your dream horse barn into reality!